President Xi Jinping greeted the Chinese people at the onset of the 15-day celebrations of the Chinese new year on Friday, the first new moon of the calendar year. The day marks the end of the year of the snake and welcomes the start of the year of the horse. Xi sent greetings to millions of Chinese from “all ethnic groups, both in China and overseas, and compatriots from Hong Kong, Macao and Taiwan while extending his wishes to local herdsmen in Xilingol League in north China’s Inner Mongolia Autonomous Region”. “I wish good health, happiness for you and your families and may all go well with you,” Xi said. Xi said that he hopes the Chinese “will continue to work hard and strive for prosperity and a better life”. Premier Li Keqiang in his new year address said Beijing’s targets for economic and social development were met in 2013. Li vowed that in 2014 more efforts to deal with housing, medical treatment, social security, education, food safety and air pollution will be made. Meanwhile, British Prime Minister David Cameron also greeted the Chinese people from 10 Downing Street. “On this new year, I want to pay tribute to the incredible contribution that the British Chinese community makes to this country. So let me once again wish you a happy new year and every possible success for the next twelve months. Happy New Year (in Chinese),” Cameron said. In a sign of growing Chinese clout, the London Eye, the landmark of London City, for the first time transformed its usual blue lights into red and gold on Thursday evening to celebrate the Chinese Lunar New Year, or the Spring Festival, which falls on January 31. New York’s iconic Empire State Building also lit its world-famous tower lights in dynamic red-and-gold bursts to simulate traditional Chinese Lunar New Year fireworks throughout Thursday and Friday. The Chinese New Year is traditionally a time to honour ancestors and Chinese gods. Chinese search engine Baidu has launched a moving map that depicts the travel rush as hundreds of millions of travellers return home to their families for the festival season. Chinese official data said about 3.62 billion trips will be made during the 40-day Spring Festival travel rush. 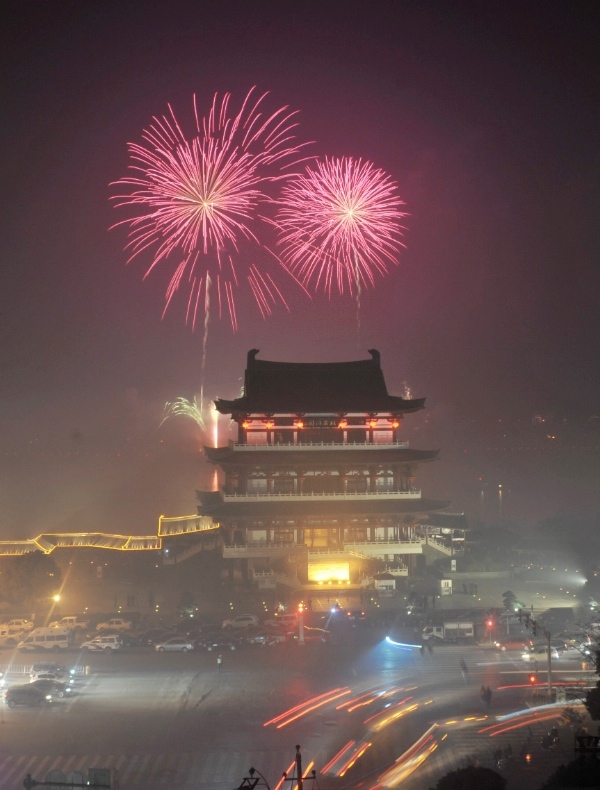 The centuries-old celebrations end with the Lantern Festival on the 15th day of the New Year.